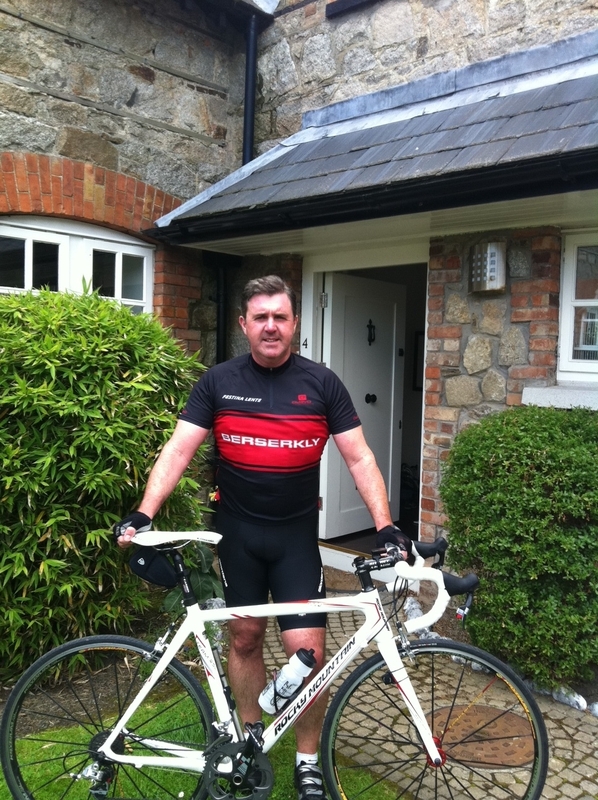 Entrepreneur Seán Melly is taking on a 5-day cycle from the most southerly to the most northerly point inIrelandto raise funds for the Irish Hospice Foundation Nurses Night Care service. Melly, a successful entrepreneur and investor in the telecommunications and technology sectors, is part of a group of 10 cycling enthusiasts from South Dublin and Greystones, inCountyWicklow, taking part in the cycle and raising funds for various causes. The 5-day Mizen to Malin Head Charity Cycle will cover the length ofIrelandthrough some of the most scenic and beautiful spots in the country. The group of cyclists will be climbing over theCorkand Kerry mountains, passing through the Burren and Connemara and finishing at theInishowenPeninsulain Donegal. “The whole group is really looking forward to the cycle, it is a very demanding route physically so it is a big personal challenge. We are all committed to raise much needed funds for our chosen causes,” says Sean Melly. Cyclists will have a short cycle from the hotel to the start at Mizen Head then begin the 720km cycle to Malin Head. After a fairly undulating cycle to Bantry, then lunch at Glengariff, the second half of the day will bring two long climbs through the mountains totalling 1150m. The group will pass through Kenmare then on to Killarney where the cyclists will be staying at the Earls Court House Hotel. Day two sees cyclists travel from Killarney through Castleisland, Abbeyfeale, Listowel to the ferry at Tarbert. After taking the ferry across theShannonthey will continue on to Kilrush, through the Burren to overnight stay at the West Coast Lodge, Lehinch. After an early climb to Lisdoonvarna, day 3 will be fairly rolling countryside towardsGalwayCity, Oughterard through to Maam Cross. From there, the group will take the scenic road through the valley towards the estuary at Leenane then along the water’s edge to the Sleepzone Hostel at Derrynasliggaun for a well-deserved rest. The longest day of the cycle, day 4 will see riders cycle from Derrynasligaun through the stunningConnemaraMountainstowardsWestport. They will then follow the undulating roads through Castlebar, Swinford, Tobercurray, Collooney then on the beautiful coastal road towards the overnight stay in the Homefield Rock Hostel in Bundoran. The 5th and last day of the cycle begins at Bundoran and continues on towards Donegal town. Cyclists will then pass through theBluestackMountainsheading towards Ballybofey. From there, they will begin the final leg of the cycle through Letterkenny, onto the Inis Owen peninsula at Muff then turning off the coast road at Quigleys Point and lastly to the very top of Ireland at Malin Head, where they will stay the Sandrock Hostel.